People even fly in for the yearly boat event. We had a lady from England who the kids met in Calgary attend this year. Neither this shot nor the illustration feature her. PEI is on the Jetset route, Mary! Mary MacADNski: And the cruise ship route, route for any boats really. And the photo below - I want one of those! Mary MacADNski: Wouldn't they be fun. 'Tis a small rural spot by the harbour. Mary MacADNski: Elizabeth wants one too. We'll take orders. Thanks, peter. That shows that the event is worth it to visit, even living far away. Mary MacADNski: Lots of people from those harbour towns plan their year around it. Relatives who have moved off come home and have always brought friends. Our kids all grew up and it is now them in some cases skippering the boat. A very nice quiet corner Mary. Mary MacADNski: The big wharf on the other side is where people are lining up for poker cards. It's really meaningful when a place/event can build up that kind of recognition, Mary. That's got to be fun for all of you. It looks like such a darling place to visit. I'd fly there on such a "gadget." Mary MacADNski: I will repeat my reply to Astrid: Lots of people from those harbour towns plan their year around it. Relatives who have moved off come home and have always brought friends. Our kids all grew up and it is now them in some cases skippering the boat. Remember, coming home you have to be able to drive your broom or have a responsible driver. I think it is my turn again for that role next year. The witches bike is a must for those in a hurry! Mary MacADNski: Wouldn't that be fabulous. Would be a great gadget for dreamtime too. Mary MacADNski: I would love one for my dreams. Those houses look as if they could easily just float away. Mary MacADNski: There is a street there but somehow it doesn't look like it. Foreshortening too. Mary MacADNski: I don't know 98% of the people, just the people on a couple of boats who often tie up together. On these boats it is a mixture of mostly the same people with always someone new aboard. It sounds a fun event. Mary MacADNski: It is a really fun event where I also kill two birds with one stone by getting most of my Boat Friday shots. I think we'd all like one of those broomsticks. Sounds popular. 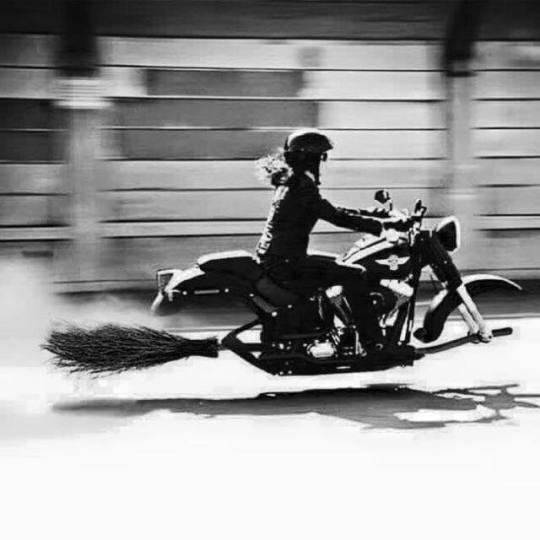 I bet the lady from England does not arrive on a broomstick. I like the look of those houses. Mary MacADNski: She arrived by airplane and was around here most of the summer. Some fine boats there Mary. Mary MacADNski: None part of the poker run yet but perhaps she's packing up to come along soon. Mary MacADNski: All different types squeezed in. Mary MacADNski: These have been converted with plastic siding but originally they would have wooden shingles.